Royal palaces like Gyeongbokgung Palace, Gyeonghuigung Palace and Changgyeonggung Palace are some of the many must-see tourist attractions in Seoul. As well as exploring the palace grounds, visitors can enjoy several experience programs that enable one to truly take in the culture of these royal places. 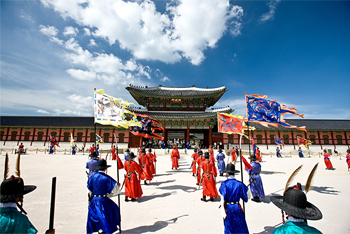 A reenactment of the historical Royal Guard Changing Ceremonies is held at Gyeongbokgung Palace. Deoksugung Palace also has a guard changing ceremony, as well as a free hanbok experience program. 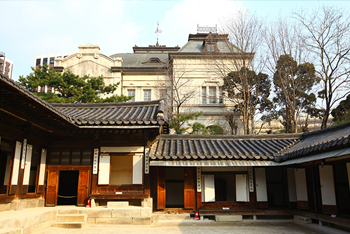 Unhyeongung Royal Residence, a famous filming site from the drama “Guardian: The Lonely and Great God (2016),” also has a hanbok experience program. Special programs such as Moonlight Tour at Changdeokgung Palace, special exhibition at Gyeonghoeru Pavilion, night admission, and more are available. Please double check the information prior to your visit to avoid any unexpected inconveniences. ※ Free admission will only apply to those who wear traditional or casual hanbok. ※ Operating hours and fees are subject to change. Please confirm in advance. ※ Hanbok experience programs are available on a first-come, first-served basis on-site. ※ Traditional culture programs at each palace are subject to change based on the seasons. Please check in advance. This page was last updated on September 19, 2018, and therefore information may differ from what is presented here.